Started by metmike - April 9, 2019, 11:16 a.m. Welcome April 9th! Do something to make somebody happy today. Don't just think about it........do it. Then think about it.............and how you just made somebody's world a tiny bit greener. Scroll down and enjoy the latest comprehensive weather to the max...... occurring because of the natural physical laws in our atmosphere. Big snow from N/C Plains to Upper Midwest mid week!!! See snow forecasts down several maps.............. Then drier. Are you sure you want to delete this post: Weather Tuesday? By metmike - April 9, 2019, 11:17 a.m.
Warmest weather of the year for another couple of days! Are you sure you want to delete this post: Re: Weather Tuesday? By metmike - April 9, 2019, 11:18 a.m. Chilly end to this week and for this weekend! Are you sure you want to delete this post: Re: Re: Weather Tuesday? By metmike - April 9, 2019, 11:19 a.m. Cold Upper Midwest/N/C Plains surges south and east late in the week! By metmike - April 9, 2019, 11:21 a.m. Huge midweek storm! (departing at the start of this period) Deep snow in far cold sector..........then dry northwest half of the Midwest for a week. New very wet southern stream system this weekend much farther south. By metmike - April 9, 2019, 11:23 a.m. Heavy band N/C.Plains/U.Midwest (mostly snow) coming up the next couple of days, Heaviest much farther south starting late this week. By metmike - April 9, 2019, 11:24 a.m.
Air has moistened up a bit. By metmike - April 9, 2019, 11:26 a.m. VERY wet but its been drying out(too dry in the south).................with lots of precip coming up in some places but not as wet today in the 2 week forecast(for the 4th day in a row) for some places compared to last week. By metmike - April 9, 2019, 11:32 a.m.
Are you sure you want to delete this post: Re: Re: Re: Weather Tuesday? By metmike - April 9, 2019, 11:39 a.m.
Last Monday: Still wet as we go into mid April. Will the upper level ridge in the Southeast be strong enough to keep the flow from being progressive? 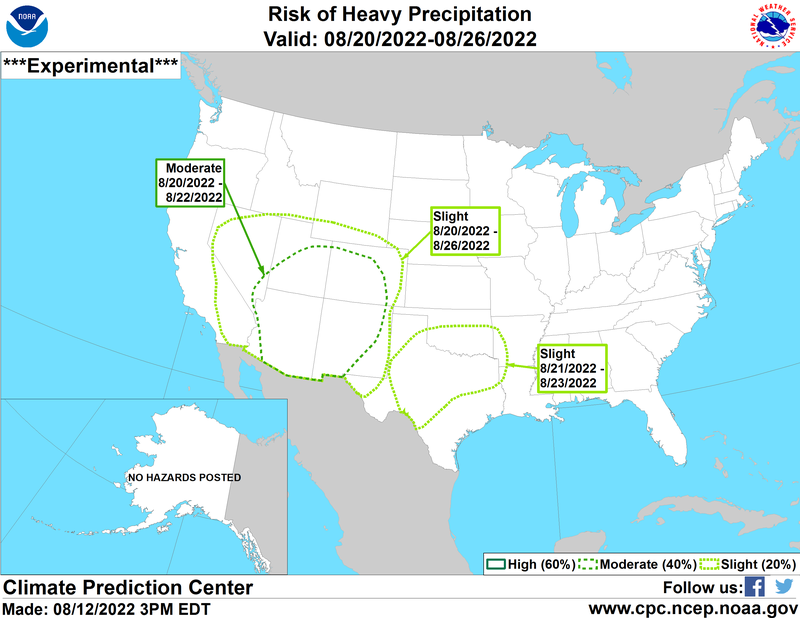 Any amplification of the ridge or upper level lows/troughs in the southern stream will result in some excessive rains. Sunday: Wide disparity on solutions, howeverer: 1. The mean is much more zonal and drier than the previous one and most of them last week! 2. Temperatures will be mild unless the northern stream amplifies and/or look like a minority of solutions show. Monday: The mean/average is zonal but many solutions don't look like the average, they have an amplification of the pattern somewhere(possibly just transient). Majority are not nearly as wet as last week. No major cold intrusions. Tuesday: The mean is zonal and mild but the flow could still be fairly active......just not featuring excessive rain events because of being progressive. By metmike - April 9, 2019, 11:43 a.m.
Sunday: Not as wet again, with regards to the threat of excessive rain events, without much ridging in the Southeast. However, It still could be quite wet in some places and very active. Monday: Still not nearly as wet as last week with several solutions taking the southern stream out as a major factor. Tuesday: Some solutions shift to a much drier pattern change. Some have some northern stream flow. Uncertainty for late week 2, especially late. By metmike - April 9, 2019, 11:46 a.m.
Last Tuesday: Anomalies changing quite a bit. A new positive one in Northwest Canada across Alaska(another around Greenland) with the positive anomaly in the Northeast that was the main one last week, being replaced with a negative anomaly in Southeast Canada. This suggests the increasing potential for chilly weather in mid April. It could also dry things out in the Midwest by suppressing the southern stream farther south, into the S.Plains. Sunday: No big anomaly centers to key off of. Slightly positive in the east and negative in the Plains still suggests at least some rain. Monday: Weak anomalies from the mean, much because the disagreements average out. Tuesday: Positive anomaly growing a tad along the West Coast. Slight negative anomaly in Southeast Canada. 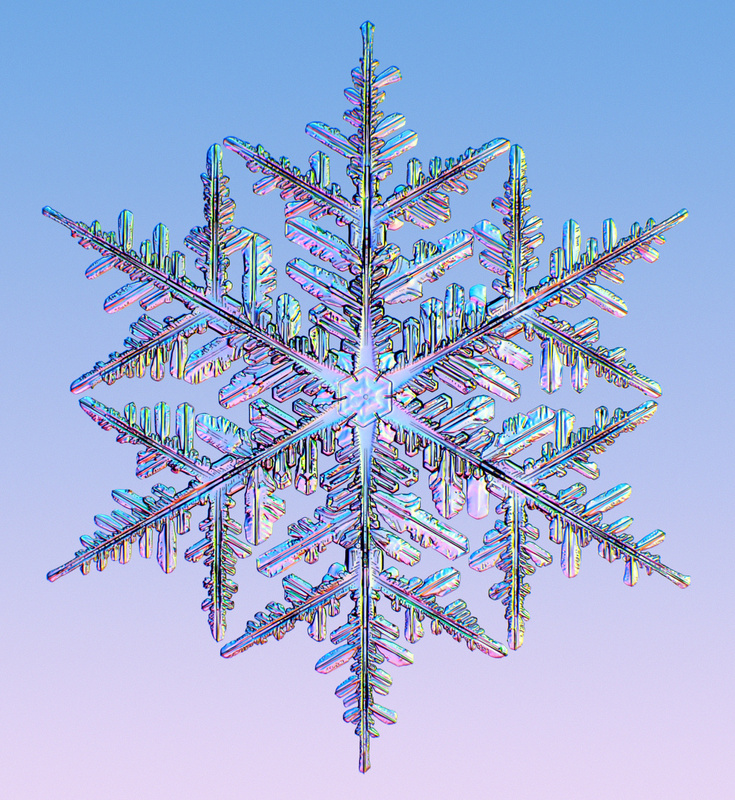 If this amplifies, it helps shut down the big precip events. By metmike - April 9, 2019, 11:47 a.m.
Sunday: AO, NAO and PNA all close to 0 in 2 weeks. Monday: AO and PNA near 0, NAO slightly negative.......not major factors. Tuesday: AO and NAO a tad negative. PNA near 0. By metmike - April 9, 2019, 11:48 a.m. Updated early afternoon. 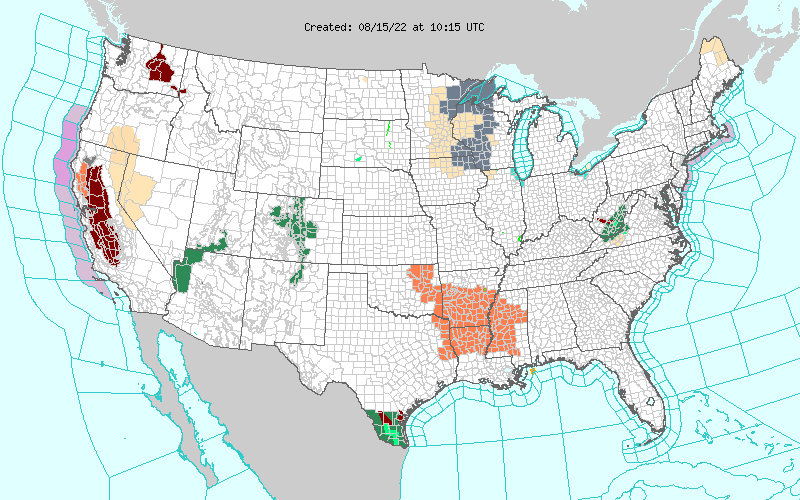 It has been getting less wet, especially Upper Midwest for this period the last few days. Not shown on these NWS maps but the models and my forecast are drier than last week. 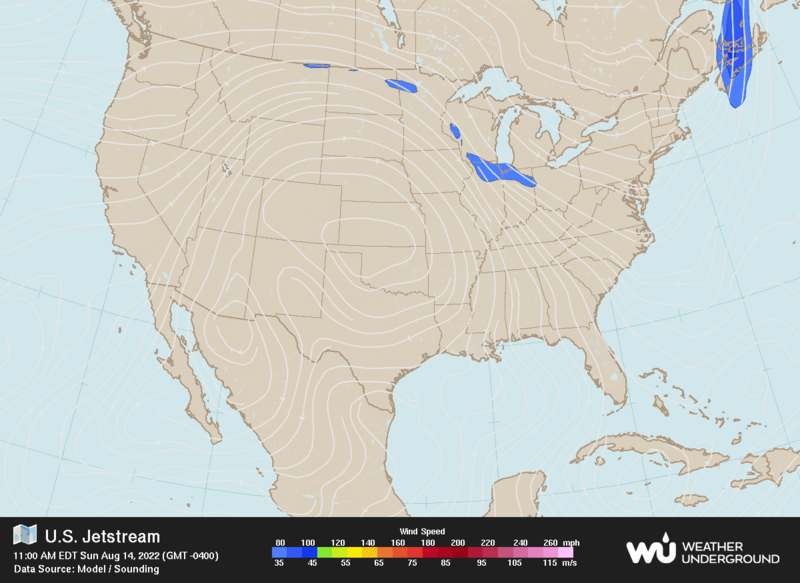 By metmike - April 9, 2019, 11:49 a.m.
By mcfarm - April 8, 2019, 10:25 a.m.
metmike, big talk of a 12 to 16 inch snow fall coming to the upper midwest......are you predicting th same? By metmike - April 8, 2019, 11:16 a.m.
Looks like SD to MN will have the heaviest snow. Thanks much for pointing this out. By metmike - April 9, 2019, 4:01 p.m.
Are you sure you want to delete this post: Re: Re: Re: Re: Weather Tuesday? By cliff-e - April 9, 2019, 5:48 p.m.
Looks like another "Bomb Cyclone" Winter storm headed for Minnesnowta with up to 30" snow and 50 mph wind gusts. On April 14 2018 we had 23" wet heavy snow that delayed planting...this time around we have wetter soils with only half of our Fall tillage completed so many of us will consider the prevented plant option if this storm comes to fruition. By metmike - April 9, 2019, 10:50 p.m. I remember those poor early Spring planting conditions for Minnesota last year and you stating the same thing about your intentions for the prevent planting option well into May. I will make the same prediction as last year............that you get your crop planted, 90% chance. How did last years similar snowstorm and cold/wet early Spring affect the planting? On June 3, 2018, 98% of the Minnesota corn was planted which was actually 2% ahead of the average for that date..........thanks to some very warm/dry weather in much of May. Temps were more than 6 degrees above normal for the entire month of May last year!! How did the late snowstorm and cold/wet Spring last year effect development of the MN crop last year thru pollination? USDA August `13, 2018 crop condition: 77% Good/Excellent in MN. 2% poor. It's not likely that May will turn as warm and dry as it did last year which allowed for the crop to be planted quickly but each year is different. Hopefully this will be another great one for you! It really is getting harder and harder to hurt these crops with increasing CO2 and beneficial climate change. Hopefully you'll have another bin buster or close to it again even if early planting is not going to be in the cards for the 2nd year in a row. By historical standards, we are way overdue for some major adversity during the growing season but climate change has changed those historical odds for adversity from drought during the growing season(the biggest risk to crops) to being lower than before. By cliff-e - April 10, 2019, 6:47 a.m. It's now April 2019...our rivers have been at flood stage for nearly 3 weeks already and our soil profile is definitely wetter as we now hear our basement sump pump running this year vs. last year when it never ran during the April 2018 floods. And we're still hearing of producers without operating credit for this year due to projected negative cash flows. By metmike - April 10, 2019, 2:24 p.m.